MANSFIELD, Mass. 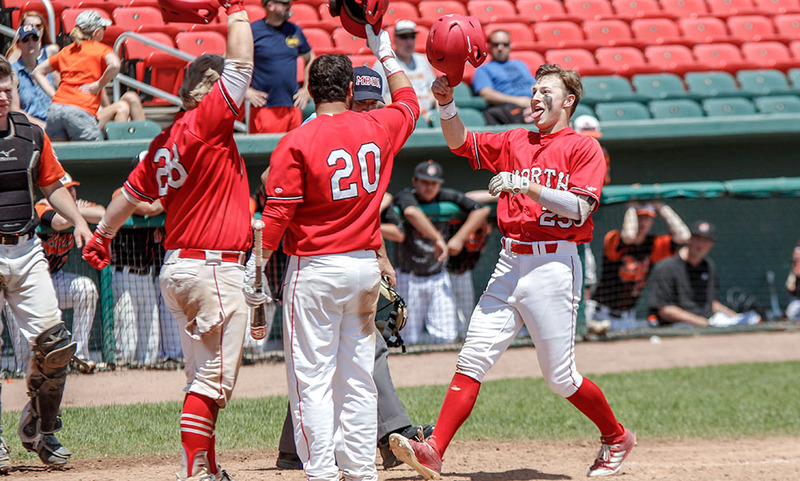 – With runners on the corners and two outs in the bottom of the eighth inning, Mansfield’s Justin Pena had the chance to play hero — and that’s exactly what he did. 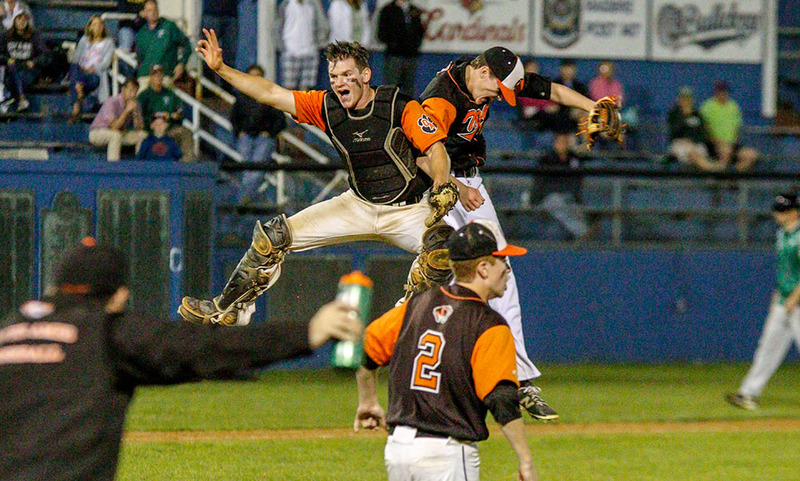 Pena dropped a bloop single over the first base bag to drive in Dan Saraceno to give Mansfield a 1-0 walk-off victory over Oliver Ames. 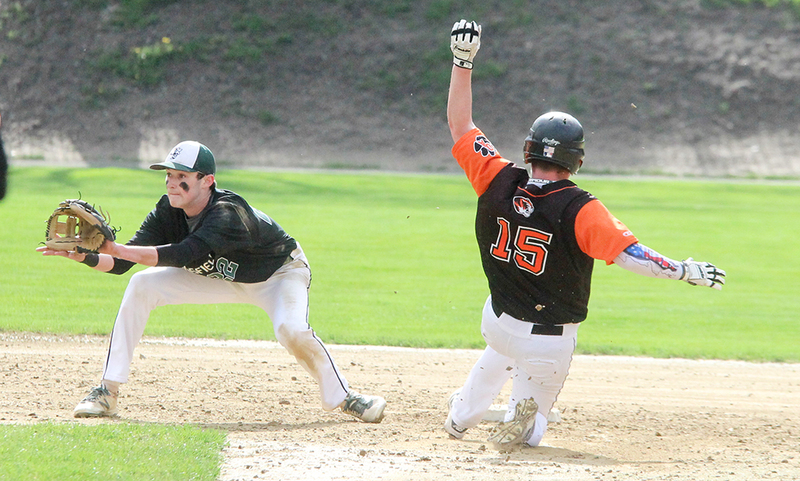 The eighth inning rally by Mansfield didn’t come easy, as Oliver Ames starter Michael Mulrean quieted the Hornets’ bats the majority of the afternoon. Mulrean pitched 7.2 innings, allowing just one run and seven strikeouts. But in the eighth, a strong at-bat by Saraceno and a single by Kevin Dow provided the spark the Hornets needed. A sacrifice fly was able to advance Saraceno to third, where he then scored on Pena’s walk-off single. As brilliant as Mulrean was for Oliver Ames, Tyler Dalton was just as good on the hill for Mansfield. The senior right-hander pitched an eight-inning complete game shutout, piling up 11 strikeouts throughout. Dalton was able to retire 24 of the 27 batters he faced over his eight innings of work. 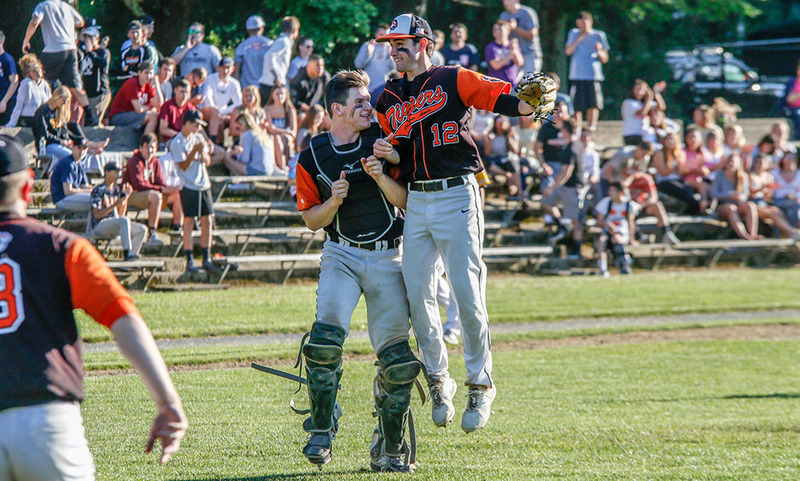 Oliver Ames’ only real threat came in the fourth when leadoff batter Michael Friel reached first and proceeded to advance all the way to third. The inning ended without Frier scoring, and it was the only player the Tigers’ saw reach third base all game. With the win, Mansfield stays in control of the race for the Kelley-Rex division championship. The Hornets are currently tied with Franklin for league wins but have two league games left compared to just one for the Panthers. Mansfield baseball (11-3 Hockomock, 15-3 overall) returns to action on Wednesday, as they travel to take on Bridgewater-Raynham. Oliver Ames (9-5 Hockomock, 11-6 overall) retakes the field Tuesday at home against King Philip.